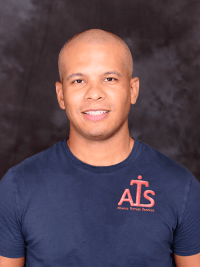 Rob Santos, a Physical Therapist, is a founding member of Alliance Therapy Services, PLLC which began in 2010. His areas of specialty are Orthopedics, Sports Med, Geriatrics, Post-operative reconditioning, Neurosurgery rehabilitation, and Neuro-deficit disorders. He received a Bachelor’s Degree in Biology (2003), and a Doctoral Degree in Physical Therapy (2006) from Andrews University and is currently pursuing an MBA at Tarleton State University. He has practiced in multiple cities ranging from Chicago, Illinois to New York City and now resides and practices in Beaumont, Texas. Locally, he has been a part of the Physical Medicine team at Baptist Hospital, The medical Center of Southeast Texas, and multiple skilled nursing facilities where he was able to collaborate and practice with some of the area’s most experienced therapists. If you would like to contact Rob email him at Rob@AllianceTXS.com.